Cartoon garage door not opening. 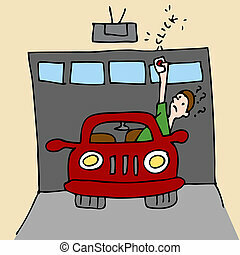 An image of a cartoon man frustrated that his garage door will not open. 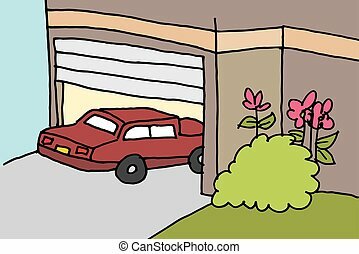 An image of a cartoon man frustrated that his garage door will not open. An image of broken garage door. 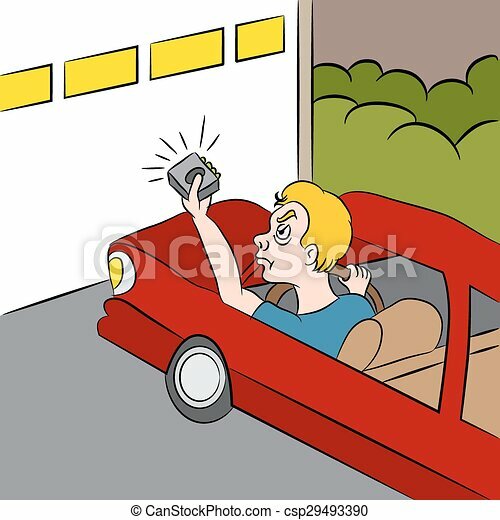 An image of a garage door opener icon. 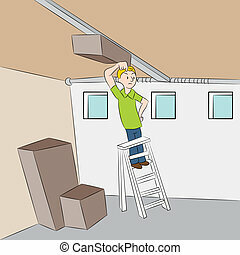 An image of a man trying to repair his garage door opener. 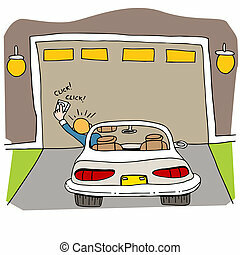 An image of a man trying to open garage door. An image of a car parking in a garage. 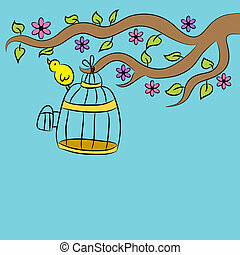 An image of a bird in a tree.